Happy Wednesday everyone! Or I should say; Happy Worry-Free Wednesday! Just sounds better, doesn’t it? I woke up this morning to this awesome quote on Facebook & I couldn’t help but share. Ok, now that Teacher Kasey had her turn to talk – I wanted to remember to mention that anyone is welcome to the Amy’s Army Fitness Fundraiser that will be next Monday Night (the 24th) in Pittsburgh from 630-830pm. If you have any questions you can e-mail me Kasey@Powercakes.net or check out this post here! Sign spotting at the gym! We had an awesome meeting last night about final details and it’s going to be great! We have over 25 donated auction baskets from amazing companies such as VEGA, The Universe Knows, KIND Snacks, & many many more! I am overwhelmed in such a good way! If you aren’t working out with us – that’s fine too! You can just enjoy the free beverages provided by my client’s brother, some music out on the deck, & the auction baskets. in 15 minutes find your ONE REP MAX with the Split Jerk. which leads into working on your Split Jerk by adding weight with each successful rep. I start with just the bar & then increase my weight with some rest in between. In 15 minutes I did my Personal Best at 125lbs! 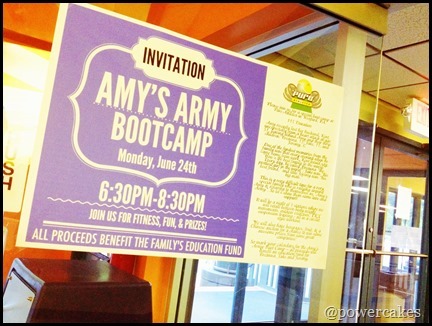 Everyone at the gym did awesome – so many PR’s were happening it was great! 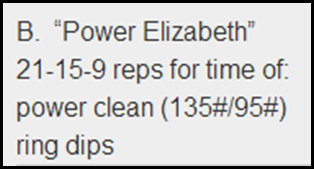 We followed the lifting session with a WOD called “Power Elizabeth” – Which makes me laugh since my middle name is Elizabeth & I obviously love the word POWER . & I used a red resistance band for the ring dips. My goal one day is to be able to ring dip unassisted. After an awesome training session this morning with my client Mary (who was doing 1 arm snatches like a BOSS, by the way), I headed to the gym to do some leg work! I focused on quads while also doing a lot of body weight movements as well. Everything was done between 12-15 reps with 4 sets of each pair. 2) Heels raised onto two plates – squat using dumbells – super set with calf raise machine. Any questions on these I suggest e-mailing me or turn to a website that you trust with proper form demos! After this one – tomorrow is definitely hot yoga day! Hope you enjoy your Wednesday!! What is your favorite leg work out?? When Your Body Teaches You A Lesson... & Chocolate Chip PowerZOOKIE. Food Freedom & Family + Cousin's Graduation! 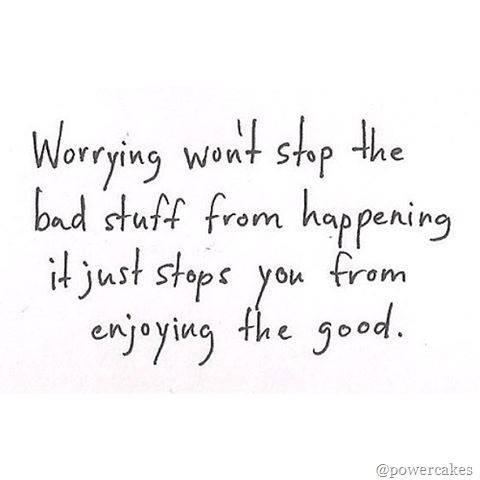 I love your opening quote – I never ever thought of worrying like that but it makes sense – it does keep you from enjoying (or even seeing) the good!! So glad you are enjoying your new workouts! 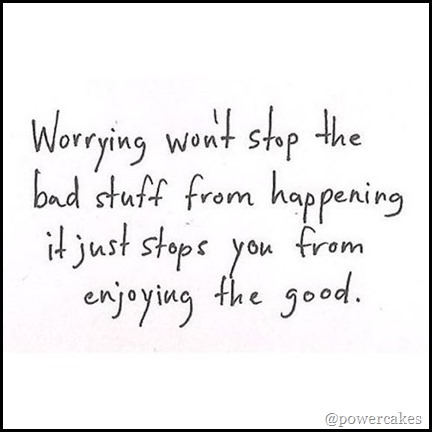 I agree with worry – still working on that too as well as comparison is the thief of joy & happiness. I love that worrying quote. I am definitely a worrier by nature, i got the bad habit from my mum if there is something to worry about I’m there! 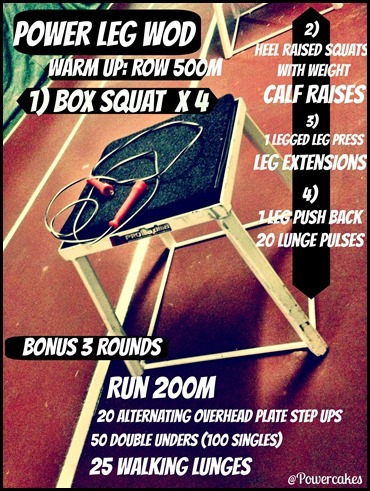 That leg workout looks like a good one, I’ve not heard of half the exercises before. I love doing leg press and backwards lunges. 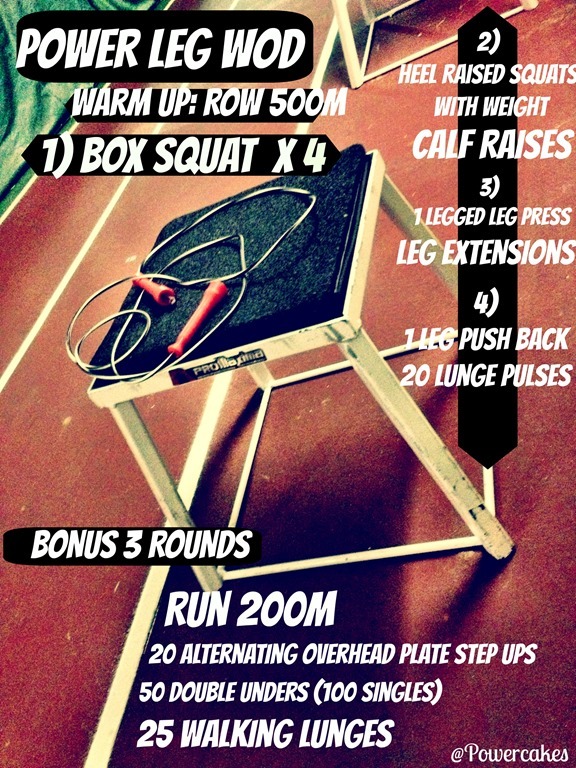 Thanks for the new leg workouts – I always get stuck in a leg workout rut!